Sac Bee: "Rise of the Geek"
Holy gigabyte, Sacramento is oozing geek culture. It doesn't take a Romulan mind probe to detect intelligent life forms in Sacramento who can discuss dynamic hypertext, Daleks, druids and Dungeons & Dragons. 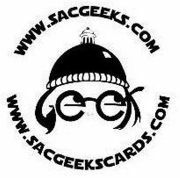 "Sacramento is a geek-friendly city," says Stephanie Rector, webmaster of sacramentogeeks.com. "Who else but a geek would think that the state's capital, the home of the governor and a Mecca of state jobs, would be a cool place to live?" Generally speaking, geeks are intelligent and employed, but socially inept. Once ridiculed, geeks now are marginally cool, thanks to popular, geeky TV characters like Hiro Nakamura of NBC's "Heroes" and bug-freak Gil Grissom of CBS' "CSI." Geek chic is big on TV. Computers, science, video games, sci-fi and fantasy are major geek passions. Other geek interests include anime, mathematics, comic books, classic literature, and cult movies and TV shows. Renaissance fairs, too. According to Rector, the multitude of government and high-tech jobs in the area makes the city attractive to geeks. Teaching is another popular geek profession, she adds. "Getting a state job is the Mecca dream of many of my job-seeking geek friends," says Rector, whose Web site is a geek-seeking missile, targeting the numerous clubs, "meet-ups," social gatherings and other geeky interests and activities in the Sacramento area. Forbes magazine has ranked Sacramento among the "most wired" cities in the country, and the Sacramento TV market has long attracted high ratings for sci-fi programs. Amaranth Wise is a fundraiser by profession and a founder of Sacramento Whovians, a "Doctor Who" fan club. The BBC-produced sci-fi TV series has become a cult classic. "I'm a geek; I prefer to stay at home in a dark room with a computer," Wise says. "I avoid natural light." Geeks are wild about "Doctor Who," "Star Trek," "Farscape," "Battlestar Galactica," "Star Wars," "Lost" and "Heroes." They adore role-playing games, anything Hobbit, X-Men, "X-Files," Spider-Man, board games, the Science Channel, Discovery Channel, online forums and extraterrestrials. "Star Trek," although considered old school in today's geek culture, remains a traditional favorite. "You can walk into any office in Sacramento and find someone with a Starship Enterprise model on their desk," Wise says. "Walk into any office with 'Geek' on your shirt and you'll get a bunch of people saying, 'Hey, I love your shirt!' "
• Lack of participation in physical activities, such as sports. • An interest in computers. • A crude sense of humor radically different from common society. • A negative attitude toward common society. In the stereotypical sense, geeks are the ones handling radioactive isotopes in chemistry class, sitting at home on prom night and tagged "losers" by the popular kids. Geeks often get the last laugh through academic achievement and high-paying jobs. Famous geeks include Bill Gates, Albert Einstein, Steve Jobs and George Lucas. On the blog Geeks Run the World, "Geekfu" proudly posts, "One of my most favorite geeks is Pythagoras. He was the Greek philosopher who came up with the Pythagorean theorem. I love Math!" Without geeks there wouldn't be an Internet, and without the Internet many geeks wouldn't have a social life. Geeks may well inherit the Earth – once they get it reprogrammed. "Geeks realize that much of the stuff that most people just don't understand is actually really cool and fun," Rector says. Melissa Lauritzen of Placerville is "captain" of the "Star Trek" fan club USS Oberon and webmaster of Sacscifi.info. She says a new "Star Trek" film scheduled for release late this year and rumors of a tour event coming to Sacramento sometime this year should re-energize Trekkers, as they prefer to be called. "Everything is kind of underground right now," she says. "Fans are out there, they're just not participating as much." Lauritzen is a big fan of "Star Wars," too, but does have a favorite that isn't in the sci-fi category. "I do have one fantasy weakness – 'Moonlight,' " she says about the CBS series about vampires. Another Trekker, Rob Lerman of North Highlands, held the rank of Commanding Admiral of Starfleet in 1993-94, the highest position in the international Starfleet Academy fan association. It's the largest fan-led 'Star Trek' club in the world," he says. Lerman, now a senior IT analyst for AT&T, is still a member but not as active. "With any organization there's politics involved," he says. The Sacramento area also has spawned the internationally known "Star Trek" band, Warp 11. Steve Hartford of San Francisco-based Reboot Music (the band's label) calls Warp 11 "international geekdom celebrities." The band will play a CD-release concert at 9 p.m. Saturday at the Blue Lamp, 1400 Alhambra Blvd. Warp 11, with song titles like "Don't Klingon Me" and "Rage Against the Federation," formed in 1999 when all members worked at a Rancho Cordova high-tech company. "I read somewhere that Sacramento has the highest per capita number of 'Star Trek' fans of anywhere in the country," says Karl Miller, vocalist and bassist for Warp 11. "There's lots of people in Sacramento, but not a whole lot to do. They turn to sci-fi." Wise's sci-fi Whovians gather once a month at a "meet-up" to watch episodes and debate cutting-edge topics of the day. "We'll pause it ("Doctor Who" episode) so somebody can go get a slice of pizza and it might not get restarted for 45 minutes because we're arguing about another sci-fi subject," Wise says. "Somebody will say, 'The space station on "Doctor Who" reminds me of the one on "Deep Space 9." ' We'll go into entirely bizarre subjects." Several Whovians are teachers or former teachers, Wise says. "We're all relatively intelligent; most of us have at least one college degree," she adds. Last month's big storm that knocked out power in some Sacramento areas hit Wise's home hard. She endured three days without electricity – an eternity for a geek. "We played Scrabble and sat around a lot looking at each other," she says. "You can only read so many 'Star Trek' novellas a day." • Call The Bee's Dan Vierria, (916) 321-1119. Geeks often are mistaken for nerds. There is a difference – and neither likes to be called a dork. Geek: Understands, creates and fixes Really Cool Stuff. Nerd: Understands and collects Really Cool Stuff. Dork: Confused by Really Cool Stuff. Best of Geeky Sacramento Poll Winners December 9, 2012 8:15 PM Steph of w.
PRESS COVERAGE (links) October 12, 2012 1:36 PM Steph of w.
Sacramento News and Review "Best of" article September 21, 2012 3:01 PM Steph of w.
Sac Bee: "Rise of the Geek" June 5, 2012 8:50 PM Steph of w.
Sac Bee:Plenty of fun for the comic book minded June 5, 2012 8:46 PM Steph of w.
Best of Geeky Sacramento PRESS RELEASE May 23, 2012 11:29 AM Steph of w.
Best of Geeky Sacramento card project participants May 1, 2012 4:49 PM Steph of w.
Best of Geeky Sacramento Playing Cards March 11, 2013 3:49 PM Steph of w.
Videos June 4, 2010 2:48 PM Steph of w.
Lists of Geeks September 24, 2016 11:05 AM Steven Rose, J. About Sac Geeks Community Calendar (www.sacgeeks.com) February 7, 2013 10:47 AM Steph of w.
For more info about the Best of Geeky Sacramento playing card project, go to www.sacgeekscards.com.